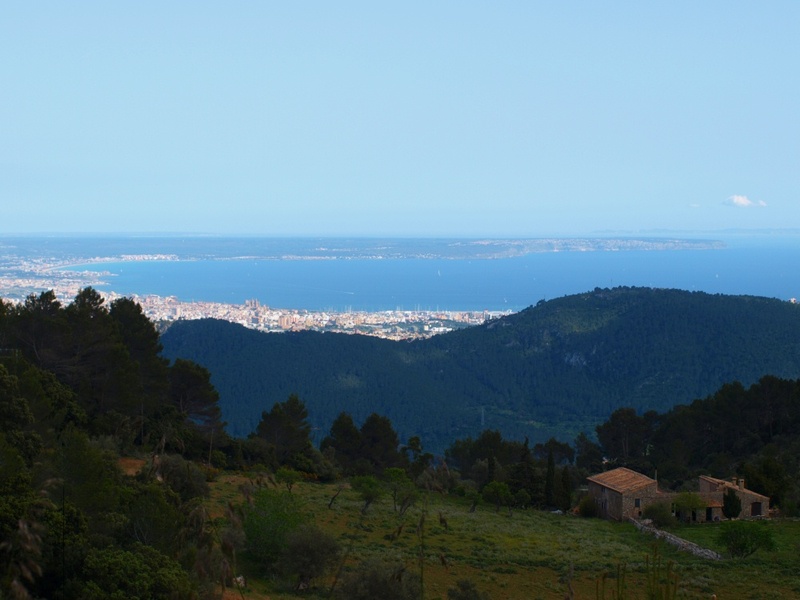 This is a pleasant half day ride out of Palma, which will take you high up on the hill range between the villages of Puigpunyent and Esporles, some 10 to 15 km out of town. 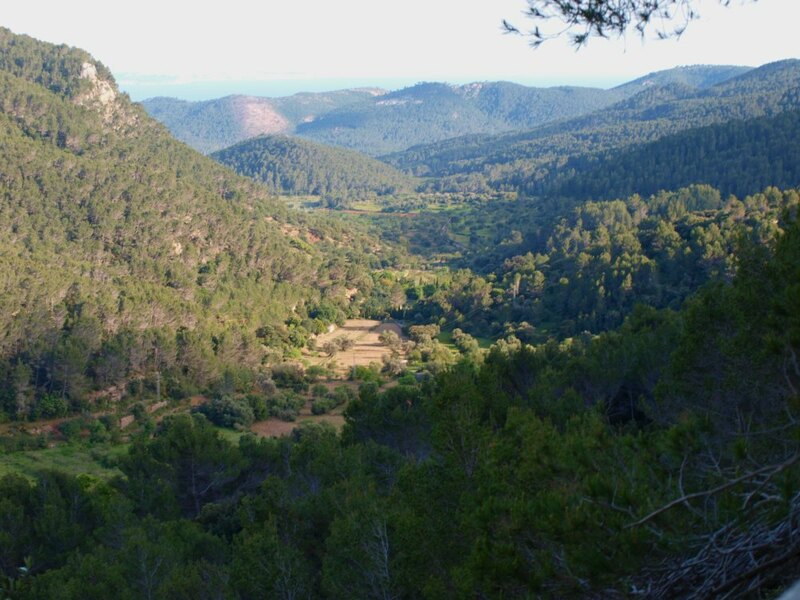 The views from the clearings along the way onto Palma bay and the Sierra de Tramuntana are great, and most of the off road part of the ride follows once paved ancient trails, built by the charcoal and lime producers of a bygone era. 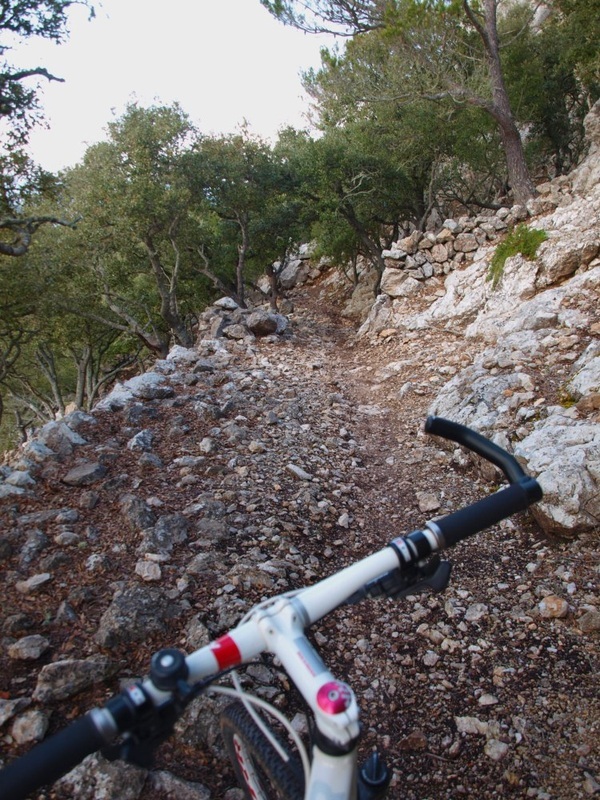 The track is often very rocky but not technically difficult, and most cross country cyclists should manage to cover a good 2/3 of the way on their saddles, if not more. Most of the climbing is done at the start of the ride, on a steep but well surfaced road; followed by an hour or two of complete wilderness, on well marked single tracks. 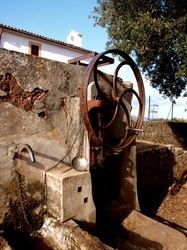 You will leave the hill range through the old hermitage high above Esporles, from where a good double track leads all the way down to a finca, close to Esporles village proper, from where you can join the beautiful Sarria valley trail and return towards Establiments and Palma proper. 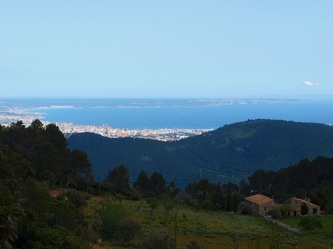 Whilst this ride is not amongst the best known in Palma, it does rank as one of the most enjoyable around town in my personal scale, despite the almost gruesome climb to Sobremunt from Establiment or Esporles. 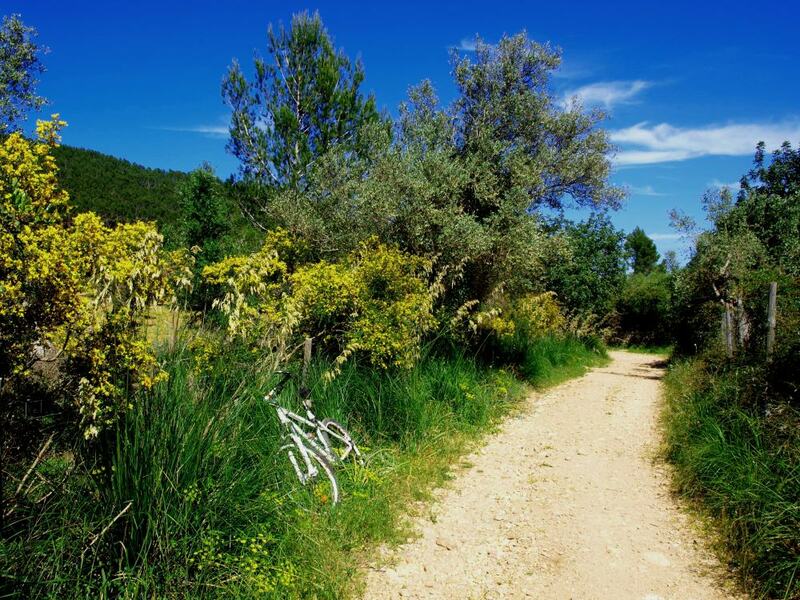 You can also reach this point by cycling up the Sarria Valley from Establiments (the road goes through private land but is open to cyclists, make sure you close the gates! ), and turning left as soon as you reach the asphalt again, climbing to Sobrenunt through the rural development area of Es Verger. 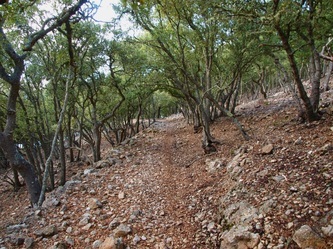 The climb is still steep this way but a little bit shorter. Either way, getting to point A takes effort, and is only really feasible for cyclists or those with their own transport. The trail starts where the asphalt finishes, and follows ancient dry stone built donkey tracks linking charcoal and lime kiln to the rest of the island. 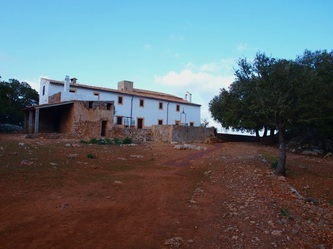 It is well marked with red sprayed arrows and marking showing the way wherever required. 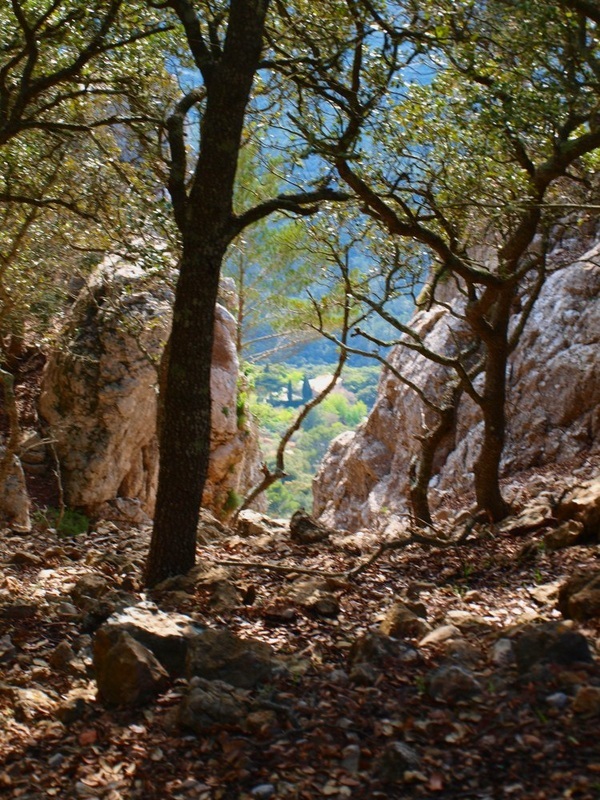 The track is very rocky, disappears at times and follows some strange, unexplainable detours through a rather sparse forest of oddly shrivelled green oaks. 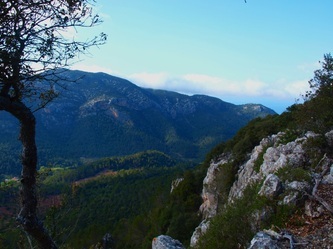 You will keep about level, or maybe climb a bit for the first half of the journey, till you reach point B, Pas de son Noguera, where abandoned charcoal and lime kilns dominate the ridge over the valley linking Puigpunyent to Esporles, Val de Superna. There are nice views on the Son Noguera finca, and this is a pleasant spot for a break. 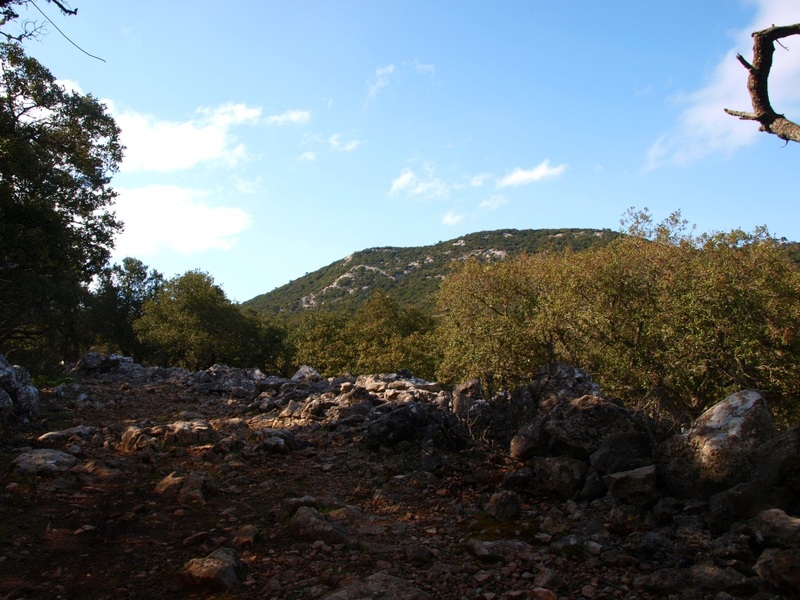 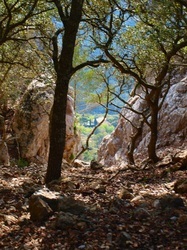 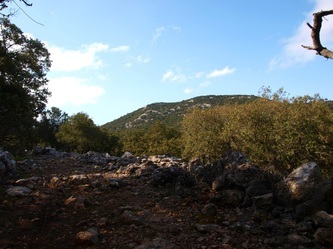 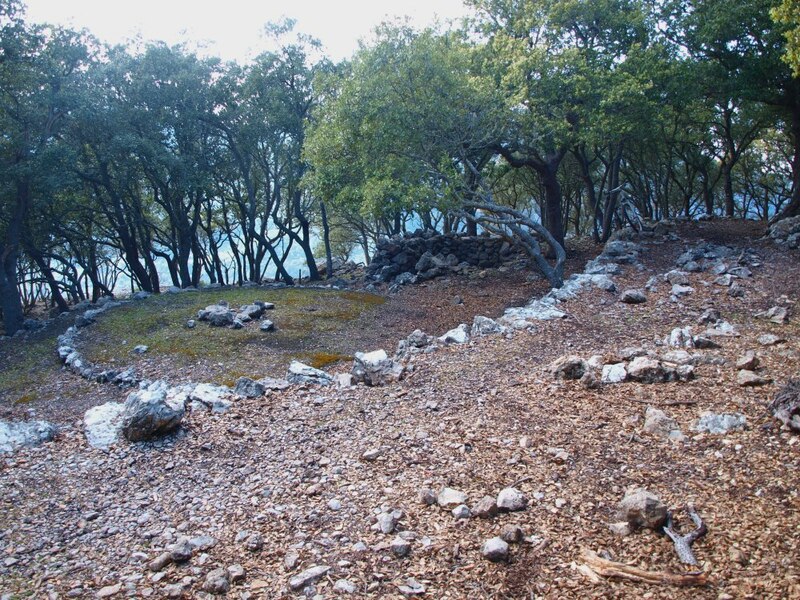 A junction (signalled by a cairn) just by Pas de Noguera will take the more energetic hikers to the top of the Fita des Ram hill along a good walking track. 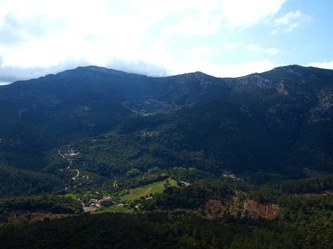 From the Pas de Noguera, it is mostly down hill through a denser and prettier forest towards another Pas, right over son Vic with some more good views to the North west. 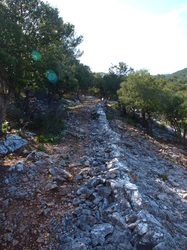 Follow the trail markings through a number junctions and turnoffs downhill towards the Esporles hermitage C, going through a nicely shadded forest with lots of ruined stone buildings, kilns and charcoal fire platforms. The trail finishes at the hermitage (great view and great place for a rest), from where an impressive ancient double track takes you down towards a finca situated above Esporles on the road between the village and Es Verger. 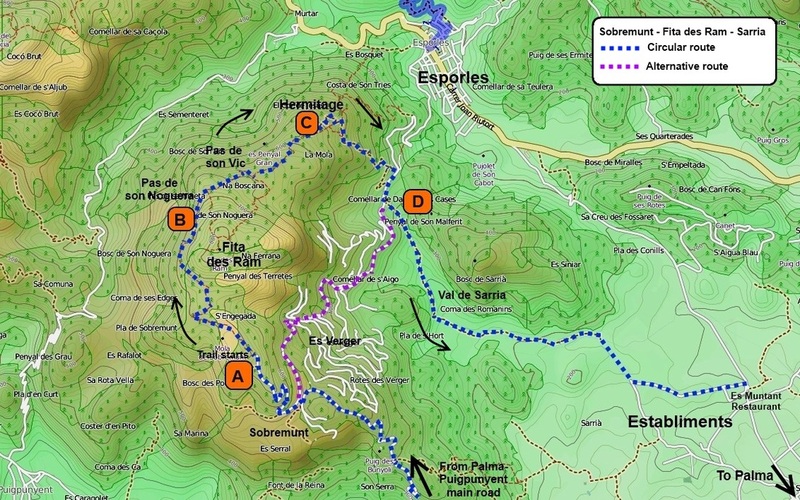 You will need to dismount and take the walking trail around the finca, as the main track is apparently not a public right of way. 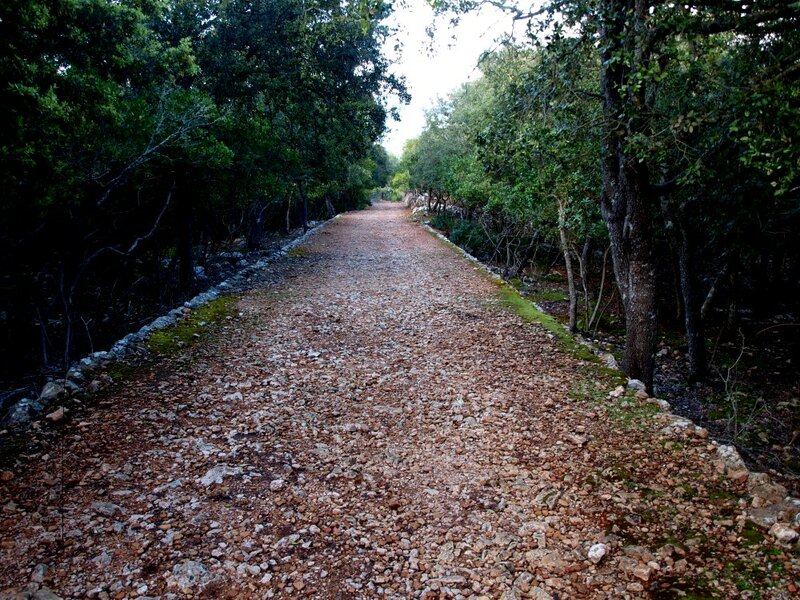 When you reach the asphalt D, take a right and follow the road away from Esporles. A few hundred meters further you will see a cemented road branching to the left following the bottom of the valley. This is the start of the little known but beautiful Sarria valley track, that meanders between fields and fincas all the way back down to Establiment. 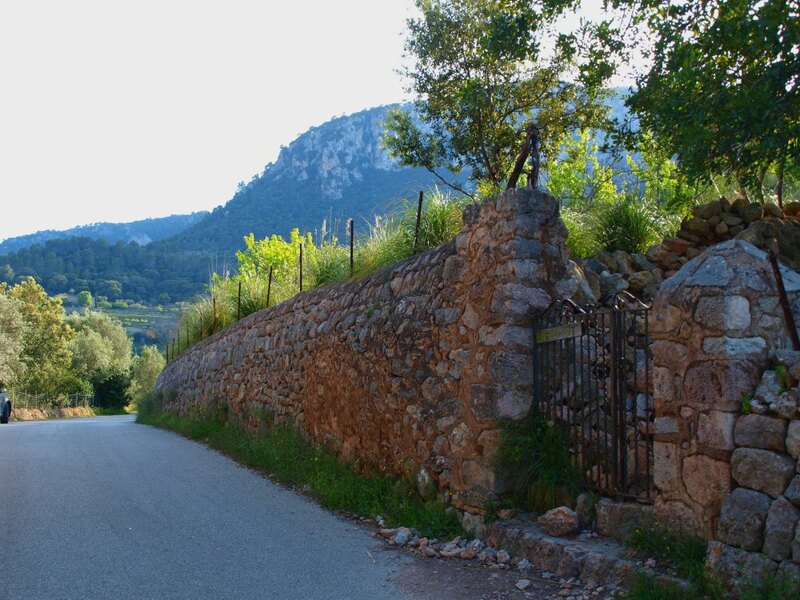 You are going through private land, so be respectful, shut the gates, be quiet and make sure to avoid giving the landlords reasons to close the way to future hikers and cyclists!